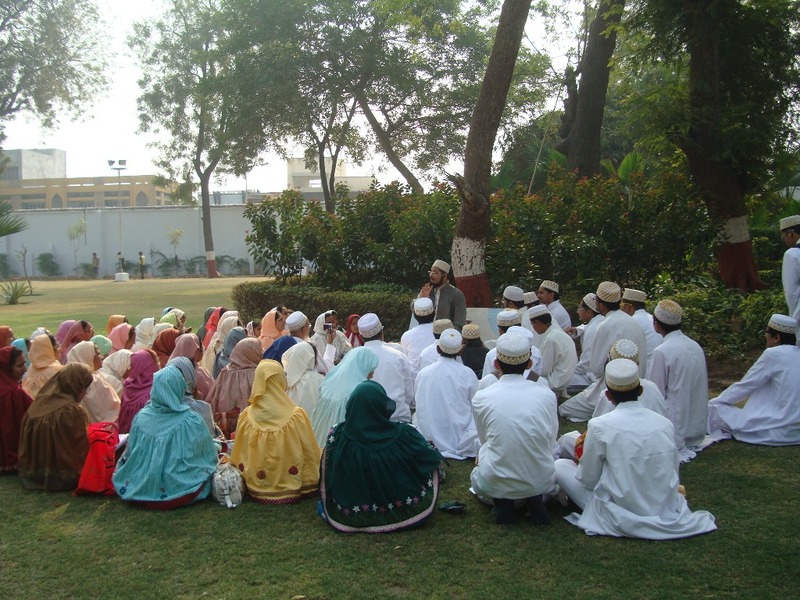 Da’wat-e-Haadiyah is conducting Daras for the mumineen once in a week at two places in Vadodara since 3 years. 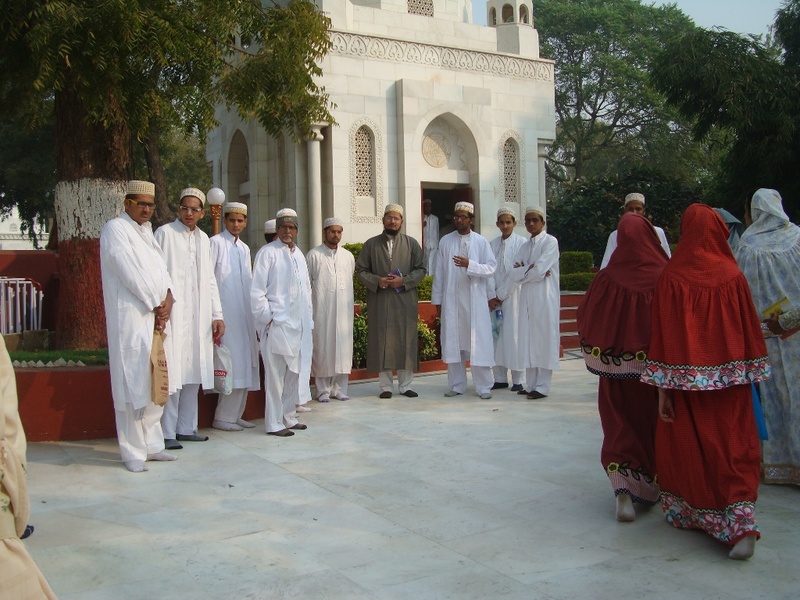 Mukaasir Saheb (dm) takes the Daras in Nooraani Masjid at Badri Mohalla while Ra’s ul-Hudood (dz) takes the Daras in Taiyebi Masjid at Ajwa Road. 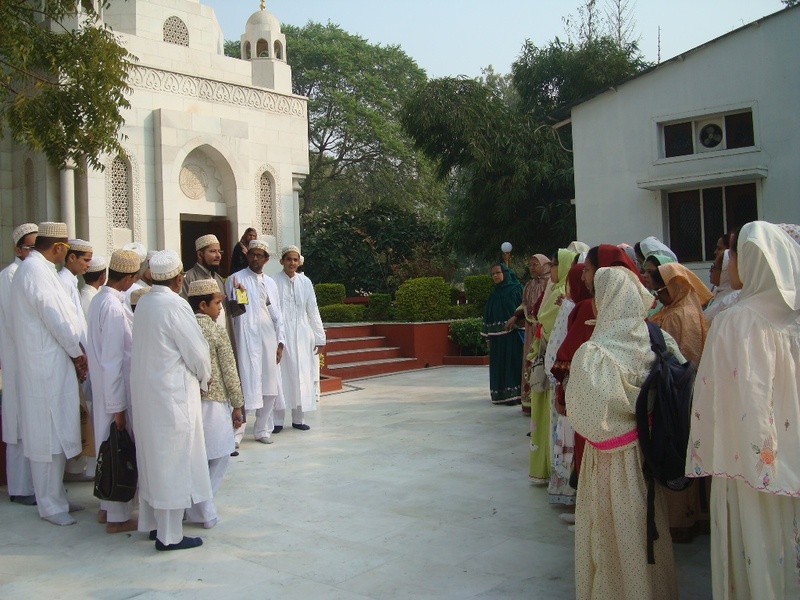 In 23rd Zul Qa’adat il-Haraam 1431 AH, the day of the Urs Mubaarak of Shaheed-e-‘Aazam Saiyedna Ali (aq), when Mukaasir Saheb (dm) went with mumineen for Ziyaarat, the regular students of the Daras at Badri Mohalla, to make them know the reality of the sacrifice of Du’aat and Maulaayis for strengthening Da’wat. So, it was the wish of the mumineen of Ajwa Road to go for the Ziyaarat of Du’aat ul-Akrameen and Mawaali-e-Taahereen (aq) of Ahmedabad. With the Razaa of Huzoor-e-‘Aali (tus), this year Ra’s ul-Hudood (dz) organized the Ziyaarat Tour of Ahmedabad for the mumineen of Ajwa Road. On 7th Safar ul-Muzaffar 1433 / 1st January 2012, Sunday, Ra’s ul-Hudood (dz) along with 62 mumineen went to Ahmedabad for the Ziyaarat. The itinerary of the Ziyaarat began from the Qubbah Mubaarakah of Saiyedna Ali bin Ibraahim ash-Shaheed (aq). 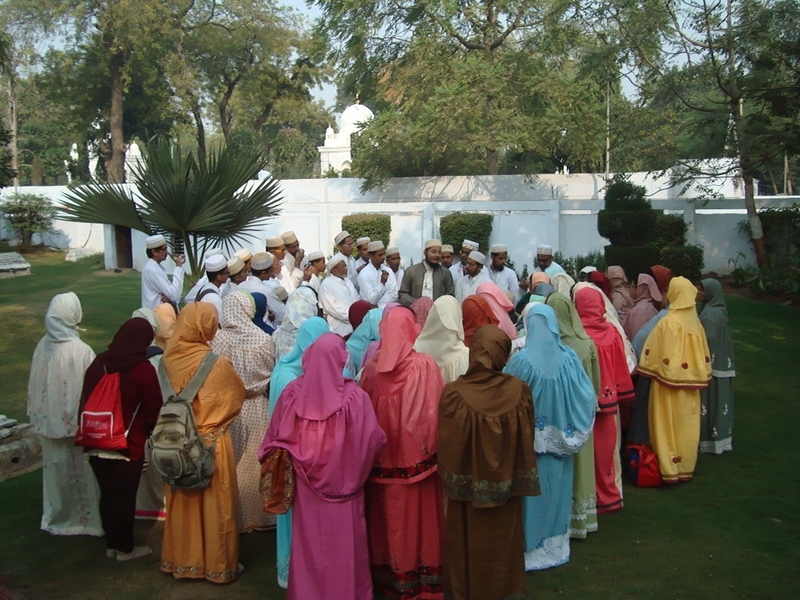 Ra’s ul-Hudood (dz) did the taqreer and gave a short description of the History of Du’aat ul-Akrameen and Mawaali-e-Taahereen (aq) at selected places in the Qabrastan of Bibipur or Saraspur. He portrayed the difficult time of the persecution of the Taiyebi Bohras by the then Rulers of Ahmedabad for 133 years – from 813-946 AH. He emphasized how our Awliyaa-e-Keraam (aq) stood steadfast to the Path of Haqq and Imaan during such hostile circumstances. Ahmedabad is also called as Nani-Karbalaa by our Du’aat (aq) because it is the land that witnessed the sacrifice of innumerable Mawaali-e-Keraam (ra) and mumineen. They also did the Ziyaarat of other Mawaali-e-Keraam (ra) whose Rozah Mubaarakah are situated in the various areas of the city. At the end of the day, all the mumineen felt that they did the Ziyaarat in real sense after knowing the detailed historical background. Though they all have been to Ahmedabad several times with their family but this Ziyaarat tour was full of knowledge of unremembered heroes of the Da’wat and historical information. Insha Allaah we will arrange similar Ziyaarat tours for the mumineen in the future. Copyright © 2012 Alavibohra.org All rights reserved. Vadodara.